Food junkies and first-time visitors of Davao City should not miss Lachi’s, the home of the world’s most delicious and finest desserts. Ever since its inception along Ruby St. of Marfori Heights, I have always wanted to try their desserts. I always hear good stuff from Lachi’s! This year, I had the chance to dine at Lachi’s. Indeed, it answered my gastronomic needs. I was not in mood to do something productive because (i) my earphones got busted; and (ii) there’s a possibility that I may not join the Soccsksargen Tour 3 this coming September. Dinagyang Festival dancers, photo courtesy of woofoo via Flickr. I originally planned to sleep at around midnight when Marx sent me a message on Facebook. It read: Renz, piso fare ng Cebu Pacific! Three years ago, my friend went to Singapore to spend her summer vacation. She told me that sunsets in Singapore were a bit late, usually at 7:30 PM. Also, it was still dark even at 6:30 in the morning. Being a geography geek, she was perplexed since Singapore is not located beyond the 25th degree of latitude; it is only a hundred miles or a degree north of Earth’s equator, thus the number of hours of day and night in Singapore is equally distributed. Then, she noticed its geographical location and time zone. It follows the same time zone with Philippines, China and Taiwan (+8.00 GMT) but it is located within the time zone of Thailand (+7.00 GMT). I was a bit puzzled with Singapore’s time zone too. Little by little I began to unearth the mysteries behind Singapore’s time zone. The Kadayawan Festival had surely brought millions of tourists worldwide. It’s official! I am not a Kadayawan virgin anymore! Last August 20 and 21, I had the chance to cover Kadayawan’s main events namely, Indak-indak sa Kadalanan (Street Dance Competition) and Pamulak Sa Kadalanan (Floral Float Parade). Because I had a media pass, I had a great vantage point; bigger opportunity to capture one of Philippines’ most colorful festivals. Three days prior my trip to Manila, my mom told me that she didn’t have enough money; she can only give me Php 1,500. I was a bit worried because I might run out of cash in the middle of my trip. But, being an adventurous and a risk taker, I took it as a challenge. 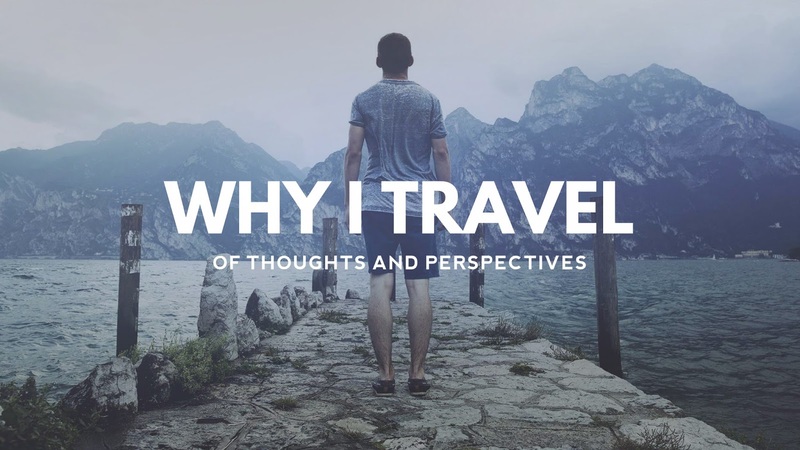 Sit back and relax as I reveal how far I traveled Manila, armed with only Php 1,500. “Horrendous traffic. Very dirty. Crowded. Stressful way of life." These are some words that my friends use to describe Manila. Some of them discourage me of visiting Manila; they keep on insisting that I should visit Baguio, Batangas or Laguna instead. But I always have this urge to travel and explore Manila. Behind the towering skyscrapers of Makati Central Business District, and the heavily polluted waterways and highways lies the soul of Manila, curled up in her own bed, crying. One misunderstood soul. Armed with only Php 1,500, I flew to Manila in search of her soul while braving its chaos. There’s this cascading waterfalls located within the highlands of Davao named Epol. For the past years, it had drawn tourists from neighboring towns and cities. I was curious back then about its name. Of ALL possible names, why Epol? Is it because it’s located within the premises of an apple orchard? Does the water taste like apple juice? I did not have any clues or answers about its etymological origin. Just recently, I learned that Epol is actually an acronym which stands for Everlasting Power of Love Waterfalls. Now I know the reason why it was named as such. Yesterday, after attending the Kadayawan press conference I had the opportunity to dine at Apo View Hotel’s Entrée Restaurant, one of Davao’s finest buffet restaurants. The buffet restaurant offers delectable courses – from appetizers to desserts. In 2007, the Apo View Hotel celebrated Kadayawan Festival in line with its 60th anniversary of being one of the country’s premier hotel and the second oldest hotel in the whole Philippines. This year, Apo View Hotel gives you more color to the most-awaited festival as it showcases different tribes and the diverse culture of the island of Mindanao. The Kadayawan Fiesta at the Apo View becomes a significant event that Apo View Hotel and its valued guests look forward every year. I started learning basic Hiligaynon last year. Some of my classmates come from Sultan Kudarat, Marbel and General Santos. These provinces are known to be the second home of the Ilonggos. During the late 50s, Mindanao was tagged as the Land of Promise – new home, lots of job opportunities and most of all, a new hope. Migrants coming from Luzon and Visayas have settled in key cities of Mindanao. The Ilonggos have settled in the South Cotabato area. The Hiligaynon language has this peculiar intonation which pushed me to learn this language. But during the learning process, I had a funny experience about it. Francisco Bangoy International Airport (Filipino: Paliparang Pandaigdig ng Francisco Bangoy, Cebuano: Tugpahanang Pangkalibutanon sa Francisco Bangoy), also called Davao International Airport (IATA: DVO, ICAO: RPMD) is the primary gateway of Mindanao serving Davao City, the largest city of the Philippines in terms of land area. I have been to this airport since 1992 and over the years I have witnessed its developments. It had undergone major upgrades from its terminal and cargo buildings to its navigational systems in order to meet the international standards. It had also battled some serious issues about its expansion, survived a bomb explosion which claimed at least 30 innocent lives and even experienced a few notable air disasters. But despite these issues, I can truly say that the airport’s image was not compromised since the start of its operation. I was only seventeen when I had my first experience. To be honest I did not know what to do or to expect on this particular circumstance. I was excited yet nervous at the same time. If something goes terribly wrong, I might be dead. Dead as a dodo. All I was asking was a great and wonderful experience. No more, no less. And if all else fails, I would gladly accept and face the consequences no matter what. Armed with only a little knowledge about our destination, a few hundred pesos and a backpack filled with unnecessary stuff, I braved the wilderness and learned a LOT of things aside from collecting data from the transect-quadrat we have made.